Garages are one of the most heavily used spaces within a home, yet many garages do not receive the TLC they need and deserve. Fortunately, garages are low maintenance, but they are not maintenance free. This spring or early summer, take time to inspect your garage for wintertime damage, and plan to make repairs, remodels, or rebuild if necessary. A damaged garage is a safety risk to your family and could be decreasing your home’s value. Here are tips to keep your garage in it’s best shape and five important things to check out during your inspection. 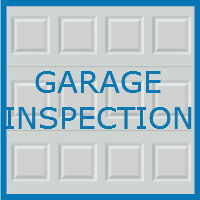 The first thing to check out during a garage inspection is your garage floor. Garage specialists recommend cleaning your floor once a year to prevent slipping, stains, and damage caused by wintertime road salts and car fluids. This can be as simple as hosing down the concrete. If you notice areas that are more prone to damage than others, such as areas under your car damaged by snow melt, consider solutions like floor mats or treating your floor with a sealant. Garage floor sealants help make cleaning easier and prevent discoloration and damage. For a two car garage, a do-it-yourself sealant treatment runs around $800 to $1,200, while a professional application can be upwards of $2,000. If you notice cracks in the flooring, they may need repairs. Hairline cracks usually pose no threat, but any crack of more than one-fourth of an inch or more deserves attention. There are do-it-yourself concrete repair kits for as little as five dollars, but if more extensive repairs are needed, consider contacting a contractor. Step two is to examine your garage’s walls and foundation. Specialists recommend doing a wall and foundation check twice a year, looking for discoloration, mold, cracks, and moisture. If you notice any damage, contact a contractor for an inspection. Similarly to your garage floor, small cracks in your walls or foundation that do not show signs of water damage are typically not a problem, but larger cracks are cause for concern. Structural problems often require the help of an expert. Consider contacting a structural engineer, who may cost $200 to $300 per hour, but will provide honest feedback without trying to get hired to perform the repairs. Most of today’s new garage doors are self-lubricated, but older doors do require attention. Older doors need to be oiled once a year. Before oiling, use a leaf blower or another tool to remove any dirt, dust, cobwebs, and other debris from the door’s parts. Test your garage door’s motion sensors as well to ensure the door is safe and will not close on a pet or person. Also remember to check the seal at the bottom of your garage door. As garage doors are used, the seal at the bottom of the door gets worn down and damaged. Damage to the seal can allow the elements to get into your garage, so replace if need be. Seals typically cost less than $100. Check your garages rain gutters to make sure they are not clogged or damaged, ensuring that they will keep snowmelt and rain away from your garage. While working on your gutters, it would not hurt to check your roof for damaged shingles or tiles as well. Check your interior garage door (often the most frequented entryway into homes) to ensure it is keeping cold out during the winter and cool air in during the summer. Nobody wants creepy crawlies in their garage, and insects like ants and termites can also cause damage. Check damp, cool, dark spaces, especially at ground level, and look for any pests or signs of their damage. Call in a pest controller if need be. The team at Blue Sky Builders is here to help with any garage needs. 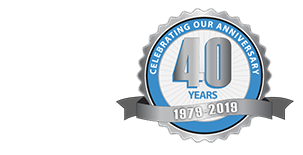 Visit Blue Sky Builders online or call us at 630-852-8485 to learn more about the many services we provide.